I cannot express how much LiLash and LiBrow have worked for me. After using the products for a little over a year, I look like I aged 20 years in reverse! My eyelashes are so lush no one can believe that they are not enhanced by some other way meaning that they are all mine! And when I use mascara, I just put on the thinnest coat and it looks like I spent house on them. Here's a picture of me taken around Christmas time after I went to a Lady Gaga show. I had my makeup on for over 8 hours and I sweated, danced, cried, wore contacts, used eyedrops (since we were in the third row we were hit by waves and waves of smoke from fog machines) and did everything that you aren't supposed to be able to do with mascara on and still have it look great. And I never re-touched my makeup that whole evening. I don't have photo shop, but I did crop in on the shot of the mascara. All pictures are completely un-retouched. In the shot of my eyes after the Gaga show, I am wearing makeup on my brows mainly because the foundation I use covers the hair up too much. But I am not wearing any makeup in either of the other shots. I don't like the brush that comes with LiLash. It's just too small. So what I ended up doing was after my 1st tube of LiBrow was done I just switched the brush and started to use that on my lashes. So, maybe I am ending up using more product on my lashes, but I don't care. The results have just been SO extraordinary. I use the wand like mascara because it's usually a bit thicker on the shaft than what's at the tip of the brush and then I apply a thin stripe of the product on both lash lines (top and bottom). I use it once a day right before bedtime on clean face. And if I don't wash my face right before bedtime, I wet one half of a Q-Tip and scrub with the wet end on my brows and lashes and use the dry end to dry, then apply the LiBrow to everything. And what I mean by saying that the serum is thicker on the shaft of the brush when my first bottle was running low I experimented with trying to get every minute molecule of the product off the brush and onto my lashes. That is when I noticed that the serum is thicker on the shaft of the brush. Maybe it just gets stickier because it dries slightly while I am using the brush end. So I now wipe my lashes with the stick (even though it says on the directions not to use it on the actual hair but I do and I have had the best results out of anyone I know who is using the product) and I even use the brow brush on my lashes as well as the lash line. I used to use it every day but now I just use it about every other day except on two tiny area where I used to be completely bald. (the part of my eyebrows closest to my nose). Until that grows all the way in I use it every night there and sometimes twice a day. I am going to be 50 years old in November and I haven't ever really had eyebrows before and my lashes look like they did when I was a toddler. They are just amazing. I love Cosmetic Alchemy products. And the only side effect I have ever had is that if I accidentally flick some in my eye it stings for a moment. And I have heard HORROR stories about stuff that Brooke Shields sells I don't remember the name, but there was an article about it in the Sunday paper showing a 25 year old's eye were just ruined. The skin around her eyes is dark purple and all her lashes fell out. What a nightmare. Eyelashes symbolize beauty in many cultures, which is why thick and full eyelashes are coveted by many. Because of this, a lot of women use a wide variety of products from eyelash curlers, fake eyelash extensions, eyelash growers and the like. Like any other hair in the body, eyelashes also have its own life cycle which means they grow, fall out and grow back again. So, why eyelashes are falling out? The growth cycle of eyelashes is similar to other forms of human hair. First it goes through the anagen stage, which is the active or growing phase. This is the time when the hairs start to grow. Unlike scalp hair which has an anagen phase of two to six years, the anagen phase for the eyelashes are only 30 to 45 days, which explains why they are short. During the anagen phase, the eyelashes will not stop growing and will not fall off unless they are pulled or plucked out. The second phase is the catagen, wherein the eyelashes no longer grow. This signals the transition phase, where the follicle stops making hair. The last phase is the telogen phase, where the hair really falls off. After the catagen phase, the hair usually rests of 100 days before it begins to fall out. Once the eyelash falls out, it will eventually grow back again. So basically, the growth cycle of the hair just follows the anagen, catagen and telogen phase. Under regular circumstances, your eyelash will continue to grow and fall as it simply follows the regular growth cycle of eyelashes. However, there may be instances when you accidentally pluck out or pull out your eyelashes by mistake. Your eyelashes may also fall out after removing fake lashes. Some people also experience eyelash loss caused by diet problems or by an autoimmune disorder known as alopecia aretrea. Aside from that, one may also lose eyelashes due to surgery, accidents and other medical conditions. When this happens, can eyelashes still grow back? The answer is yes, and this can be done through the help of some medication and treatment whether through prescription, cosmetic or natural methods. How To Make Eyelashes Grow Back? When you are faced with weak eyelashes or falling eyelashes, you may be faced with the question: how to make eyelashes grow back? There are a variety of methods to promote eyelash growth. Natural ingredients like olive oil and castor oil, for example, are popular eyelash growth enhancers. These oils strengthen the hair lashes and keep follicles healthy to promote better hair growth. Some people with weak lashes have their eyelashes trimmed to prevent breakage. Cortisone shots are given for patients with the auto-immune problem alopecia aretrea. Lastly of course, there are eyelash growth products in the market. There are eyelash growth stimulators, eyelash growth enhancers and even mascaras that promise to enhance lash growth. For eyelash loss related to underlying health problems, you can also visit a doctor or dermatologist to consult about the best treatment course you can take. So to sum everything up, do eyelashes grow back? Yes, on a regular basis, they do. But even with eyelash loss problems, they can still grow back as long as you pick the right treatment for your problem. To see which products have been rated highest by users and experts, keep reading below. As of today, Idol Lash has shown the best results for the consumers. Cosmetic science has evolved over years of research, constantly offering new products that enhance our beauty and allowing longer eyelashes to grab the limelight in the recent years. Not many are blessed with naturally long eyelashes. Less fortunate ones with short, sparse eyelashes can hope to grow longer eyelashes in several ways. Let us find an answer to the question that is on the minds of most of the women how to make eyelashes longer? Dear ladies, do not fret about running mascaras of the yesteryears when you had to think twice before crying your heart out for the fear of ending up with kohl soaked blackened face. Present mascara products are waterproof and prevent clumping. If the eyelashes look short because of their light coloring, dark mascara can be used to make them look longer. Try a lengthening mascara to get long eyelashes. Curling mascara provides an extra push to your long eyelashes. It is an absolute truth that false eyelashes know a thing or two about how to make eyelashes longer. It is easy to use and inexpensive to boot. There is a range of false eyelashes to choose from based on length and color. We all love options so go ahead and choose the one that best suit you. First, curl your natural lashes up or down for lower lashes, and then apply each false eyelash directly to the eyelid with a little glue. You have an option of bands that need only one application per eye if you are not comfortable with applying each lash individually. Use a mineral-based makeup remover to remove false eyelashes. The trick is in being able to afford eyelash extensions. Once that hurdle is taken care of, it is matter of time before you get long eyelashes. Get professional help in applying eyelash extensions, your local salon is the best bet. The entire process takes couple of hours, few dollars, and few touch-ups now and then. Each application lasts for couple of months. Not to be left behind in the pursuit of longer lashes, natural alternatives in the form of castor oil and olive oil provides an effective way to grow longer lashes. Dip an ear bud or cotton wrapped around a toothpick or a mascara-free wand in the oil (remember what I told you about option choose one) and brush your eyelashes several times gently from base to tip. Pat them with a tissue or cloth to soak excess oil, leave it on overnight, and wash it off the following morning. Use it regularly to wake up one morning with longer eyelashes. 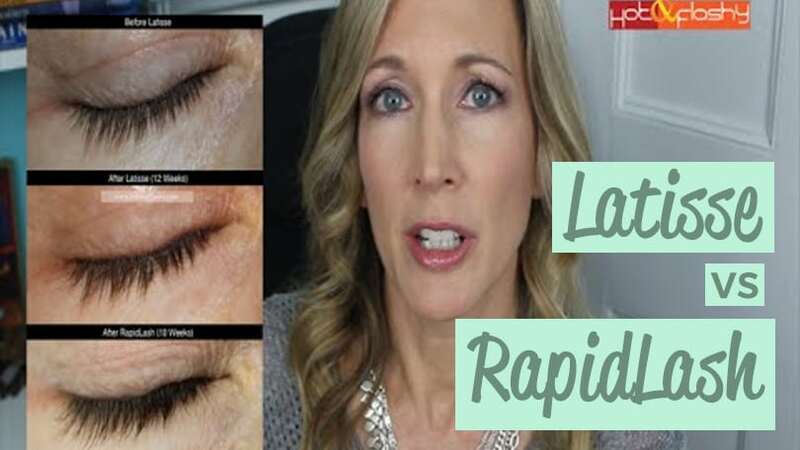 RapidLash VS Latisse: Which One Wins? RapidLash Eyelash Enhancing Serum doesn’t contain the same active ingredient as Latisse, so it’s available without any medical prescriptions. 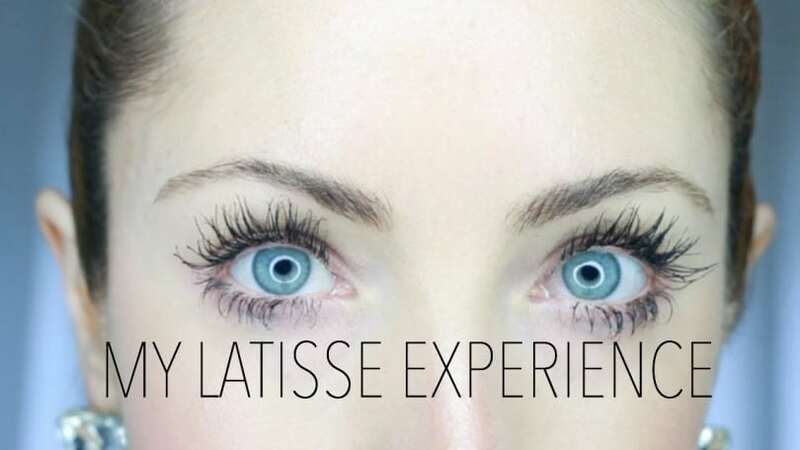 Rather than a simple cosmetic that helps patients grow longer, thicker, and darker lashes, Latisse is an upper eyelid treatment approved by the US Food and Drug Administration (FDA) for Hypotrichosis, a condition that can lead patients to suffer from sparse and abnormal hair growth, which can eventually feature the aesthetic side effect of not having many eyelashes. 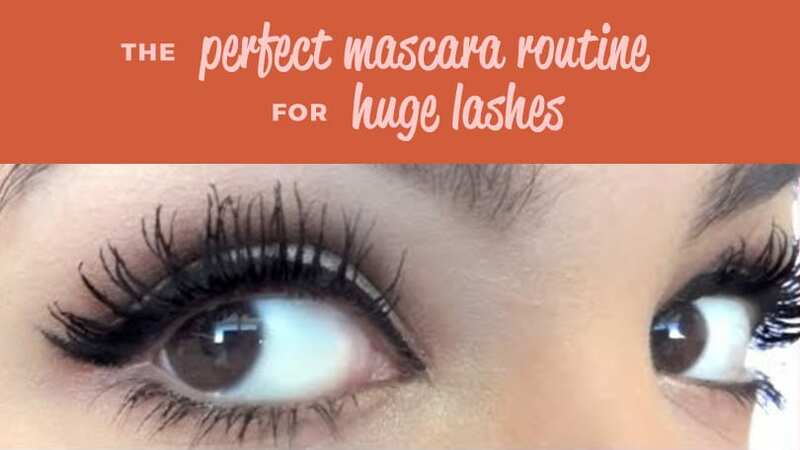 Perfect Mascara Routine – How to Get Long Eyelashes Without Extensions. Have you ever wondered how to get those thick, endless, and almost fake-looking eyelashes without extensions?